Brandon Vale is a career thief---the best there is. Or at least he was before he was thrown in prison for a jewel heist gone bad. And even more embarrassing, he had nothing to do with it. 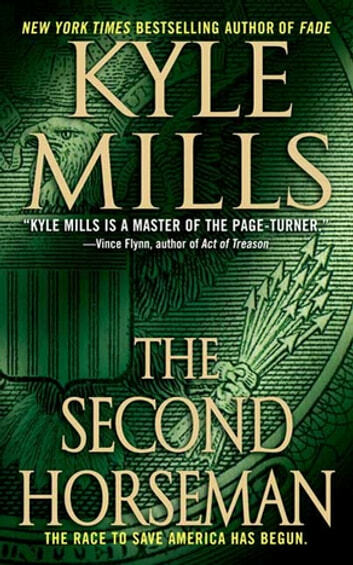 His time inside is going fairly quietly until the night he's broken out against his will by Richard Scanlon, the now-retired FBI agent who framed him in the first place. Scanlon, who still has ties to the United States intelligence community, has discovered that a Ukrainian crime organization is auctioning twelve nuclear warheads to the highest bidder, but he can't convince the government that the sale isn't a hoax. The only way he can get his hands on the $200 million necessary to take the warheads off the market is to do something that goes against everything he stands for: steal it. The choice Brandon is given is simple: help Scanlon and hope to live through it, or turn himself in and face the repercussions of his "escape." Suddenly, Brandon finds himself with only weeks to plan a Las Vegas heist that that he's been dreaming about for years, but has always thought was probably impossible. And to make matters worse, Scanlon insists on choosing his team personally. Led by the relentlessly intelligent and undeniably beautiful Catherine Juarez, not a single one of the former government operatives he picks has so much as shoplifted a pack of gum in their lives. As the day of the heist approaches, Brandon's carefully constructed plans begin to break down and he suspects that the elaborate double-cross he's devised to save himself could cost millions of lives. He finally has to ask himself just how far he's willing to be dragged into a game that he can only lose. 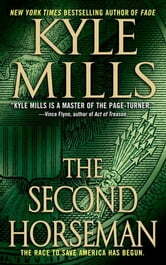 With The Second Horseman, the heart-stopping, all-too-real novel, Kyle Mills proves once again that he is one of the freshest and most original thriller writers working today.